Welcome to the Rotary Club of York Ainsty. All pages are listed with links in the top left menu drop-down box. Please scroll / swipe down through this page to find out more about us. Team players wanted to join us in our many community-based projects - at home and abroad. Contact details here. 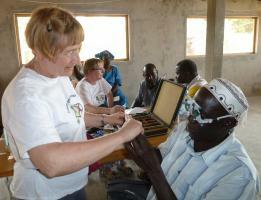 A 'signature' project of Rotary York Ainsty, whereby Rotarians collect unwanted spectacles from opticians across Yorkshire then sort, wash and grade them, before taking them to Africa. 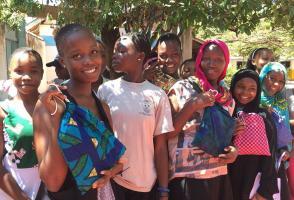 Some of Rotary York Ainsty's many youth oriented projects are featured here. Rotary York Ainsty celebrates Rotary's 114 birthday with a cake party at their regular meeting. Special guests for the evening were Rotary D1040 Governor Nigel Arthurs and members of sister club Rotary York Vikings. Welcome to Rotary York Ainsty. We were founded in 1960 to give an opportunity for local people to get involved with York and its many communities. RYA meets each week on Monday nights at the Mercure Hotel, both as a social get-together and to discuss club activities and projects - both at home and abroad. At Rotary York Ainsty you will find people who care about both our local community and disadvantaged people across the world. Maybe you have a community project you care about passionately? Why not talk to us about it? Maybe we can help with advice, effort or even some modest funding? Rotary York Ainsty has a strict policy regarding the storage of data and the RYA's full GDPR Club Privacy Statement is available to download here. Rotary is a network of women and men who support their local communities and international projects, to improve the lives of people in these communities. Over the years we have raised and distributed many thousands of pounds and instigated many home and overseas projects. There are almost 50,000 Rotarians in Great Britain and Ireland and 1.2 million world-wide. Please scroll / swipe down through the pages to find out more about us. In addition, all pages are listed with links in the top left menu drop-down box. We also support projects world-wide, many funded by The Rotary Foundation, our own charity. Perhaps the most significant of these is Polio Plus, our joint initiative with the World Health Organnisation and others to eradicate polio from the world. BELOW: Rotary York Ainsty in Action... 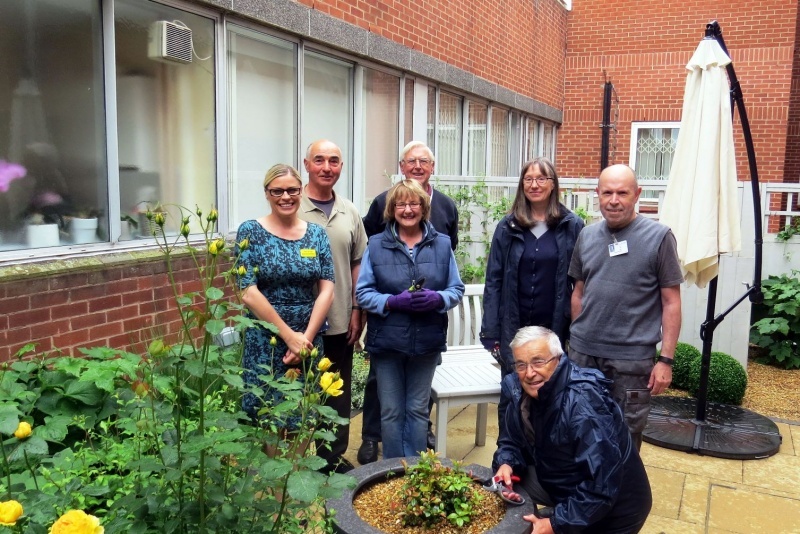 Maintaining the Cancer Care and Bereavement garden at the hospital.